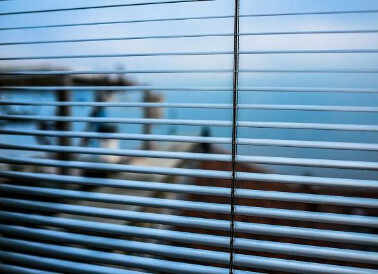 Gone are those days when people used to operate the window blinds manually. Though it was fun at times, it can be very frustrating when the pull cord get stuck. You have to spend so much time in fixing the pull cord so that they function well again. When you purchase remote window blinds, things will be very different. They look beautiful and are very easy to operate. It is one way to showcase your status and make a statement. Apart from the ease of operations, there are so many other benefits you will enjoy. Here are few reasons why you should opt for remote window blinds. Increases Your Comfort: When you purchase and install a window blind that you can operate using a remote, you are making things easy. One thing that is quite frustrating is to go and run the blinds manually to open or close them. It can be frustrating especially when you come from work or are just relaxing. Instead, when you can operate using the remote, you do not have to put in much effort. With the touch of a button, the blinds will raise up or down. It can make things comfortable for you. Especially in an office setting, it works well. People can make impressions on your company based on the products that you use. When you are using a remote to control the window blinds, it just looks professional. Your clients and vendors will be startled to see that you have a fully functioning conference hall that works on fingertips. Your Fabric Is Safe: When you use a manual blind, there are high chances of the material getting damaged. It can be irritating for you especially when the screens or pull cord get stuck. It takes too much time to fix this particular problem. Mainly, when this happens when you are in the middle of a meeting, it can be quite annoying. You can say goodbye to all of these problems by choosing motorized window blinds that work with a remote. Makes No Noise: The best part about using motorized window blinds is that there motors that are very quiet. You should prefer to purchase it so that you open or close the windows without making any noise. The best part about using this is that you can conceal the motor so that people do not see it. Works Well in the Bedroom: The best part about using the window blinds in the bedroom is it is very convenient. Sometimes, it is hard to wake up in the morning and walk to the blinds to open it. Instead, you can have it integrated with you an alarm so that screens open automatically when the alarm starts to ring. It will fetch you some time to relax and wake up in the morning. If you want to sleep for some more time, you can use the remote to close the blinds. These are few reasons why you should buy remote window blinds.